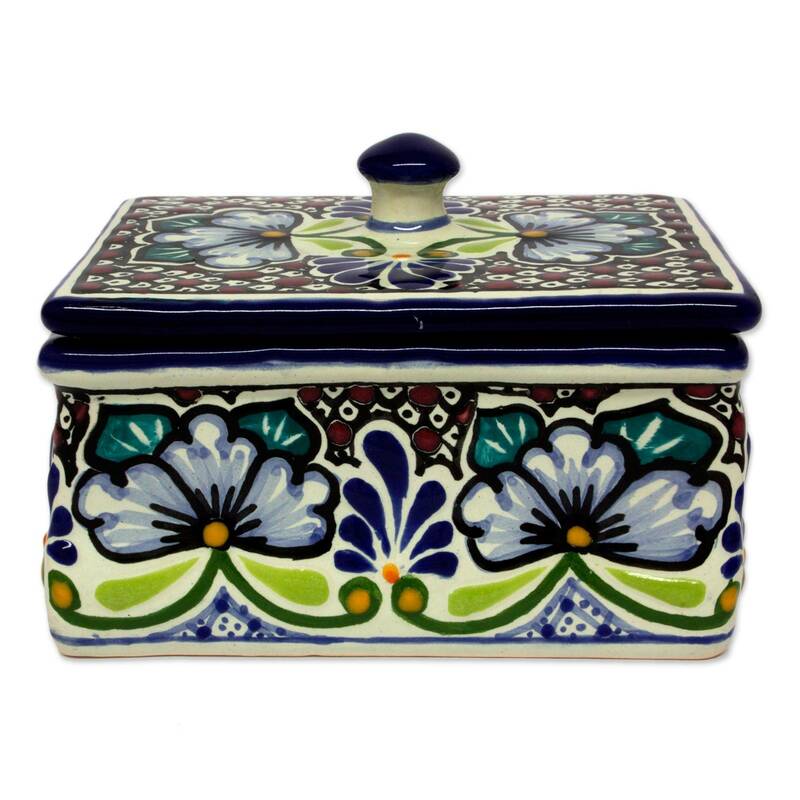 Edged in cobalt, this elegant design by Alonso Luis is a perfect place to keep personal treasures. 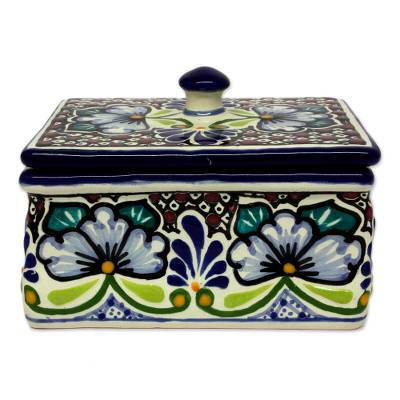 Stylized flowers alternate with feathery foliage, hand-painted in the traditional style of Talavera pottery. The motifs reveal Spain's Moorish influence.